California is a state well known for its traffic jams and earthquakes. Monterey Peninsula is quite a refreshing change of pace from the traffic chaos and freeway views most of us Californians normally see. 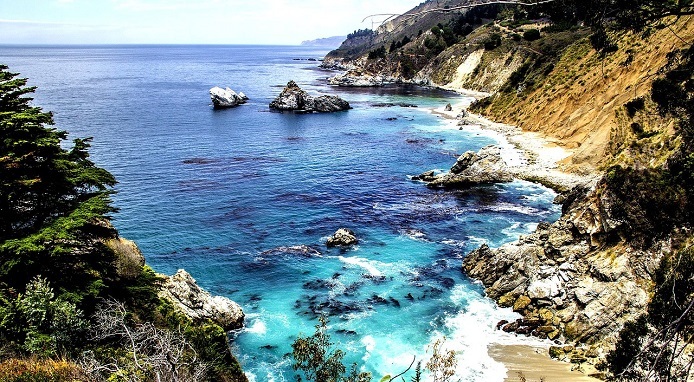 Monterey, the city which is on the coast overlooking Monterey Bay, has so much to offer, well beyond the well-renowned surf and beautiful beaches. The other attractions in the area are wonderful places to visit and complement your trip to the peninsula. 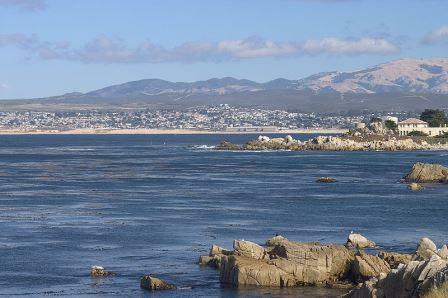 Monterey Peninsula is one of the most diverse and beautiful areas in Northern California. 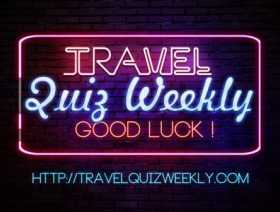 Its colorful cities and historic locations make it an ideal getaway. The weather is mild, being right on the bay, and the views are spectacular. Monterey was actually the first capital of California after it was claimed by the United States. The city features a fine array of restaurants, boutiques, galleries, and inns. It also has several recreational opportunities. 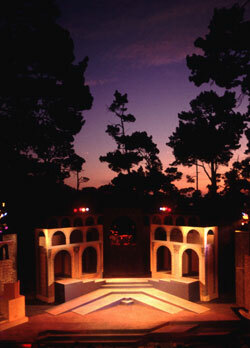 Monterey is host to a wide variety of festivals. It also hosts some world class events, including The Monterey Jazz Festival, The Monterey Blues Festival, Cherries Jubilee, Monterey Wine Festival, and The Great Monterey Squid Festival. There are also major automobile and motorcycle races at nearby Laguna Seca Raceway. A lot of the area’s economy is based on tourism. The bay itself is a wildlife preserve, so the expanses of rocky Northern California coastline are absolutely gorgeous. Personally I am a big fan of taking pictures everywhere I go, and the picturesque beauty of this place is well worth the trip, if only for the lovely photographic mementos. I remember how beautiful this whole area was quite a few years ago when I was Stationed at the now defunct Fort Ord, which was about five miles north of Monterey right near the coast. It’s still just as beautiful and scenic. Especially gorgeous is an expanse in Pebble Beach called 17-mile drive. The 17-Mile Drive is a great way to just cruise up and down the coast, and take in the beauty of the scenery and wildlife. Sightings include pelicans, seals, otters, and sometimes even whales. If you’ve heard of nothing else, you’ve probably heard of the famous Pebble Beach golf tournaments. It’s in this area. Of course if you like to surf, what trip to California would be complete without surfing? If you do not have your own board or jet ski, there are plenty of places where you can rent one. For the surf challenged, lessons are available just about everywhere you go. With the internationally know aquarium, world class hotels, many dozens of shops and outdoor activities like hiking, biking, scuba diving, and ocean kayaking, there is something for everyone. For the literary, fans of Steinbeck will be happy to find that Cannery Row is still there. Most of the canneries are gone now, but Cannery Row is full of famous restaurants, small or large art galleries, and shops you will not find anywhere else. Cannery Row’s reputation as the Monterey Peninsula’s “hot spot” is well earned. Traveling Marina, CA to Monterey, CA and boondocking in town overnight while exploring downtown during the day. Christmas is just weeks away and decorations are out everywhere. 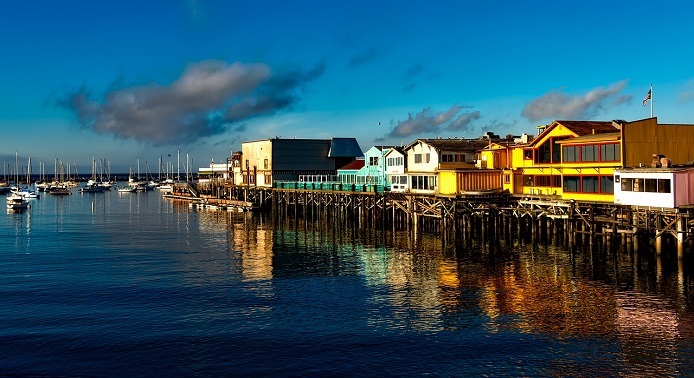 There are over thirty restaurants, night clubs and every type of entertainment from comedy clubs to pool halls makes Cannery Row a unique place to visit., day or night your visits to the Monterey Peninsula is not complete without a trip to Cannery Row. Anybody with an interest in oceanography or marine biology should then proceed immediately to the Monterey Bay Aquarium, which happens to be one of the world’s leading research institutes. The two-story otter tank is not to be missed. Carmel Valley area is a combination of sunshine and countryside. The valley retains the agricultural character of its history. There still are rustic barns, vineyards, lettuce fields, and grazing animals. There is a village 12 miles east of Carmel and is home to Garland Ranch Regional Park. With a population of only about 4,000 residents it boasts thousands of visitors each year. By the 1920’s Carmel had already achieved an international reputation as an artists’ colony. Times have changed and now its biggest attractions are the downtown shopping district and its beautiful beaches. There aren’t many sidewalks, neon signs, street lights, or mailing addresses in this little city. 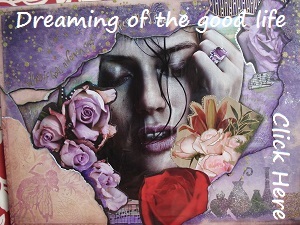 However you will find specialty shops, boutiques, photography and art galleries and fabulous restaurants. Pacific Grove is known by its locals as “America’s last hometown.” It is also known for its large population of Monarch butterflies. Take a walk through residential neighborhoods and you’ll find many well-preserved turn of the century Victorian homes. Those interested in history can visit the Point Pi–os Lighthouse, the oldest operating facility of its kind on the California coast. The Monterey Bay recreational trail passes by Lover’s Point, offering many opportunities to view sea otters, sea lions and occasionally passing whales. Golfers won’t want to miss the Pebble Beach golf courses, which are not only famous, but draw a number of celebrities such as Bill Murray every year, as well as Clint Eastwood, who lives there. Eastwood was actually the mayor of Carmel California for a while, and still manages one or two restaurants in the area. In downtown Monterey still stand a number of the original, traditional adobes. These clay buildings are testaments to the rich cultural history of the Monterey Bay area. Many of the historic buildings are available for tour, and there are historic walking tours available throughout much of the city as well. 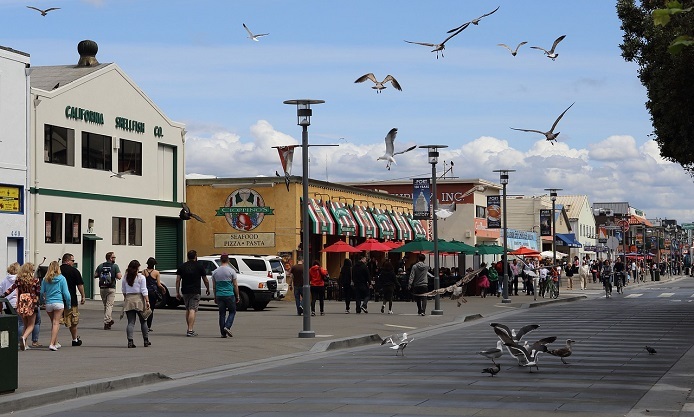 Fisherman’s Wharf is also downtown, and you can get the freshest seafood imaginable there. I recommend the Liberty Fish Co. because the employees love it there. The owners are very good people, which is a rare find in the restaurant business. If you live in Southern California, it is well worthwhile to take the coast drive up to San Francisco. On the way, near there you’ll drive through the Monterey Peninsula. With all the great things to see and do, this California road trip is well worth it, no matter what time of year, and no matter what your taste.